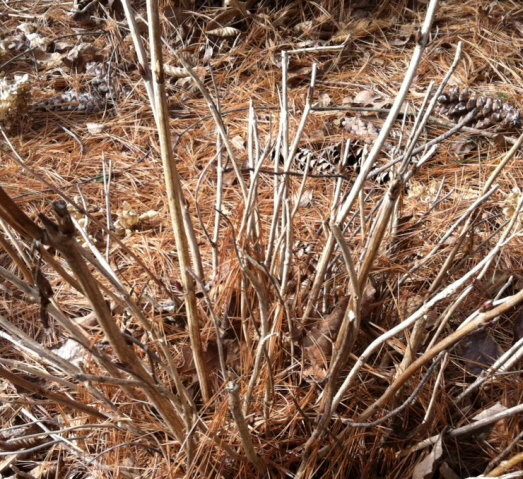 Late January or February—Time to Prune Boxwood and Liriope – Johntheplantman's stories, musings, and gardening. I love boxwood. By and large they mind well. I appreciate that trait in a plant, but one does have to respect them. 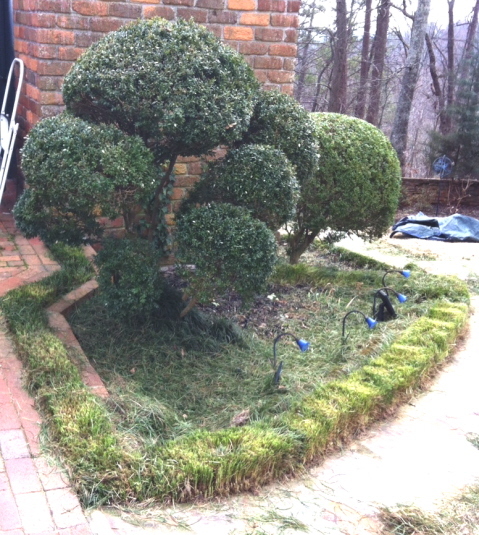 Boxwoods perform best when pruned in the early part of the year. That doesn’t mean that they must be pruned, mind you, but if you plan to prune them now would be the time. I have been tending to this particular planting for more than twenty years. Last year we didn’t do any pruning—just let the hedge thicken up—but this year it was time for a good manicure. The planting is doing well. 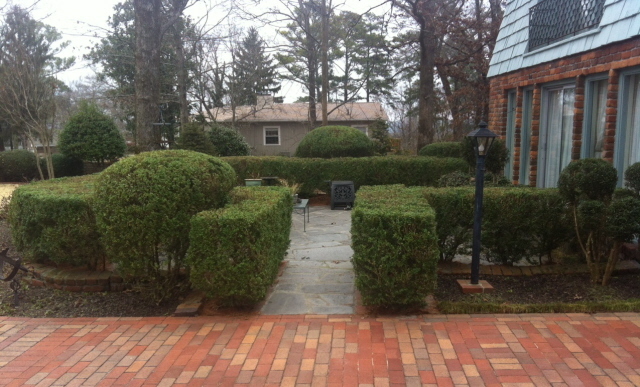 A second view of the boxwood-bordered courtyard after pruning. 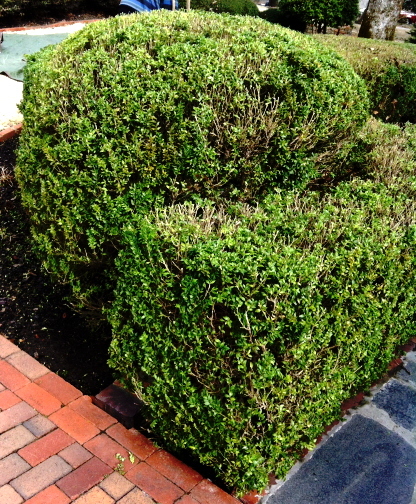 One of the main purposes of pruning the boxwood other than shaping them is to make “holes” to allow light to enter and to help form leaves on the inside of the plant canopy. Without this introduction of light the growth will become weak and droopy. Here you can see inside the plant. In a month or two the new growth will fill in the bare spots and the plant will be happy and healthy. If you stand back and look at the completed pruning job, you will notice the holes but they won’t be offensive and will close in rapidly. This makes for a healthy plant. While we are on the job and have the tools at hand, it is time to prune the hydrangeas. Click here for a previous article on pruning hydrangeas. Mondo grass (ophiopogon japonicus) and Liriope (in the south we refer to it as “monkey grass) enjoy a cutting back this time of year. 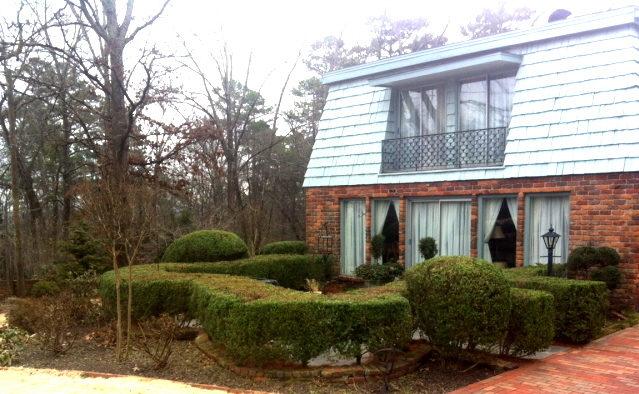 As with the boxwoods, this allows light in to promote new growth. 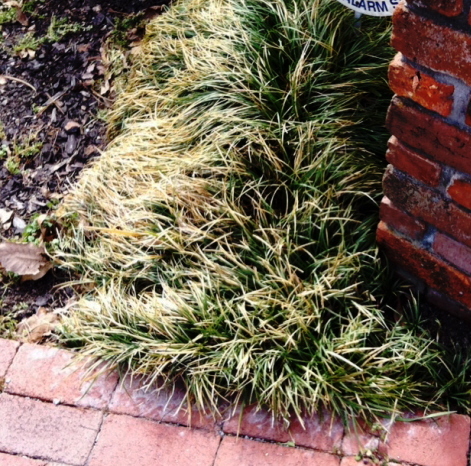 Here is an uncut mondo grass clump. 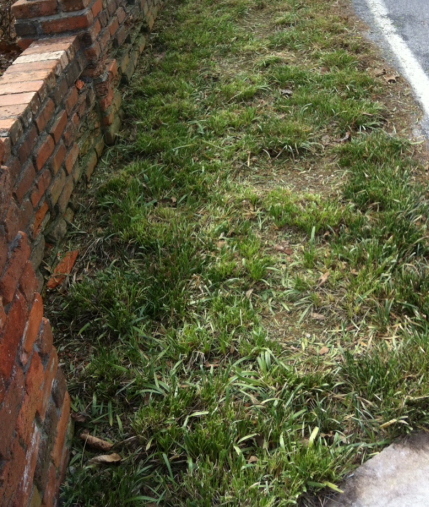 We have found that even though it makes a mess, a good weed eater is the best way to cut the mondo grass. I like to leave maybe two or three inches of the old growth sticking up. The same goes with liriope pictured below. 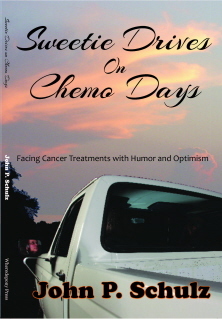 The job is done and everything looks good—but not as good as it will look by the end of March. 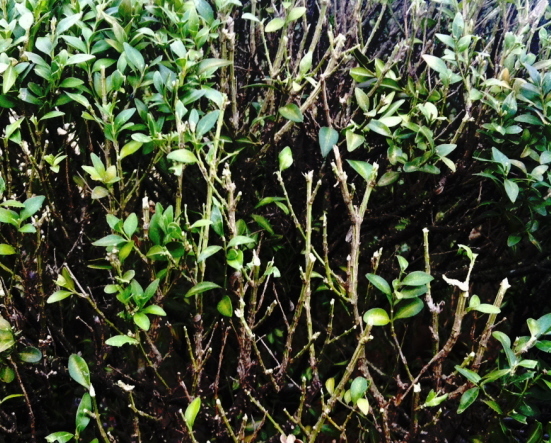 For lots of other johntheplantman articles on pruning click here. John, February comes entirely too soon. It is indeed time for pruning and I am feeling lazy. I like this blog. The next time we get together, show me how to comment directly to the blog.